John C. Dupré (originally John C. Tremblay) is a fantasy author and award-winning technical writer from New England. He’s a graduate of University of Massachusetts at Lowell; and his first flash fiction piece was published in AlienSkin Magazine in 2005. Subsequent work has been published in numerous online magazines, including Allegory, New Realm (previously eFantasy), and Silver Blade. 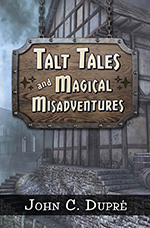 His first novel, Killing Time at the Lingerroot Inn, and his first short story collection, Talt Tales and Magical Misadventures, are now available at Amazon.com. 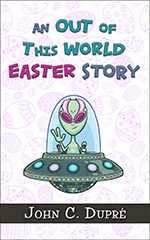 02/26/19 - John's new short story, An Out of This World Easter Story, is now available for preorder in the Kindle Store. The story will be released on March 21, 2019. 02/11/19 - Love is in the air! 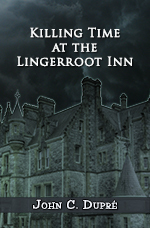 On Valentine's Day, the Kindle versions of John's novel (Killing Time at the Lingerroot Inn ) and John's short story collection (Talt Tales and Magical Adventures) will be Kindle Countdown Deals with discounted pricing for a limited time. 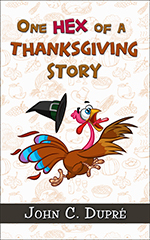 11/01/18 - John's short story, One Hex of a Thanksgiving Story, is now available in the Kindle Store. 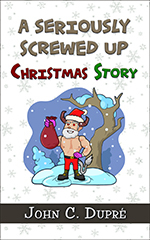 View John C Dupré's Author Profile at Amazon.com. Copyright 2003-2019 John C. Dupré (writing as John C. Tremblay). All rights reserved. Ratrilpot™ and Ratrilpot's logo are trademarks of John C. Dupré.